Beautifully upholstered in black LeatherPlus. Optional knee-tilt mechanism upgrade available (B687). 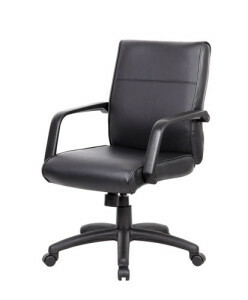 Matching guest chair with black polished steel legs (B689).